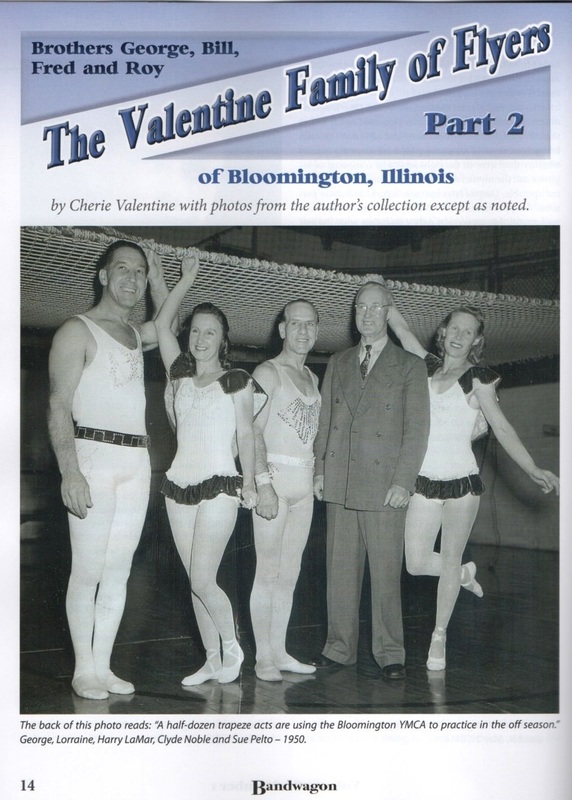 Cherie Valentine, of the Department of Politics and Government, published an article titled “The Valentine Family of Flyers of Bloomington, Illinois” in Bandwagon, the journal of the Circus Historical Society. The article, published in Vol. 60 No. 4, highlights the Valentine family’s four brothers and their accomplishments in the circus. Part 2 has recently been published as well. The second part also appears in Bandwagon, The Journal of the Circus Historical Society, Vol. 61-No. 1, 2017. “The Valentine Family of Flyers-Brothers George, Bill, Fred and Roy of Bloomington, Illinois Part 2. Pages 14-37, includes 18 photos. Cherie Valentine is the administrative clerk for the Department of Politics and Government at Illinois State University.